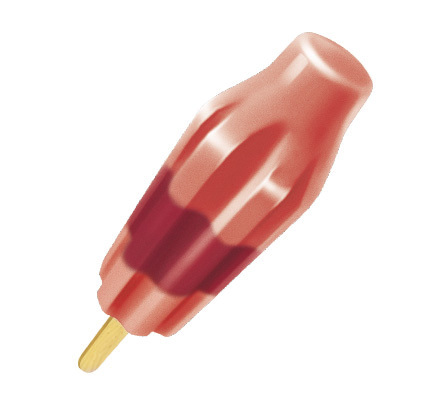 Strawberry raspberry fruit ice pop in the iconic Bomb Pop® shape. Case Dimensions: 18.5625 in. x 10.9375 in. x 9.625 in. Ingredients: Water, Strawberries, Sugar, Corn Syrup, Pear Juice Concentrate, Raspberries, Contains 2% or less of Natural Flavors, Guar Gum, Cellulose Gum, Xanthan Gum, Citric Acid, Malic Acid, Beet Extract for Color, Annatto for Color.